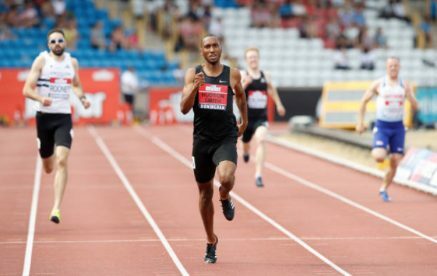 1st July 2018 – It was a case of deja vu at the British Championships which doubled as the European Championships trials as Steph Twell (GBR), Dina Asher-Smith (GBR) and Matthew Hudson-Smith (GBR) all defended the titles they won last year. Steph showed a superb turn of pace on the final lap to take the 5000m and record her fifth win in six years. Dina was in record breaking form again as she comfortably won the 100m final in a new Championship Best Performance of 10.97 seconds. Matt was also in a class of his own as he was the only athlete to record a sub 45 second clocking in the 400m, wining in 44.68 seconds. The evergreen Chris Thompson (GBR) staked his claim for a place at the European Championships as he finished third in the men’s 5000m. Andrew Osagie (GBR) missed a medal in the men’s 800m by the narrowest of margins just being edged into fourth by 1/100th of a second. Perri Shakes-Drayton (GBR) continues to need her luck to change as a slight injury put pay to her medal chances in the women’s 400m. At the Paris Diamond League, Jenna Prandini (USA) continued her good form by taking second place in the 200m in 22.30 seconds. Bethwel Birgen (KEN) was seventh in a seasons best of 3:34.27 in the men’s 1500m after a good pacing job by training partner Vincent Kiibet (KEN).